Welcome to The War Elephant, formerly Jon’s Deep Thoughts. As I write, the sun is setting on the longest night of the year, December 21st, the Winter Solstice. But it occurs to me to share with others about the meaning of the longest night. If ever a man’s life story encapsulates the events of the bulk of the 20th century it is that of President George H.W. Bush. Love him or hate him, what cannot be understated is that the man was a faithful servant of the Republic. 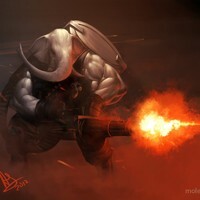 The War Elephant now has an official Quora Space! Quora has made it possible for the largest blog on Quora detailing military, political, or conservative content, The War Elephant blog, to have a space of its own!